As a full-time undergraduate student who understands the cost of education, Jonathan VonReusner took it upon himself to reduce his living costs. 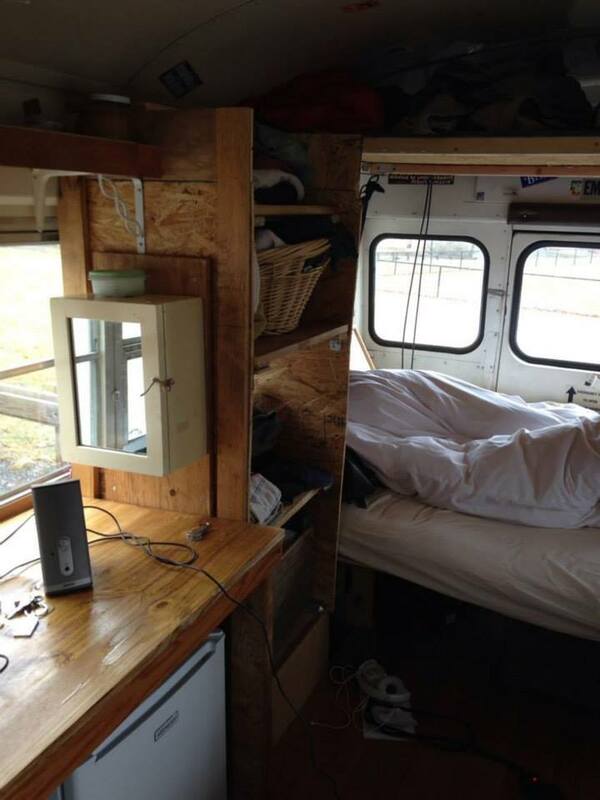 While attending a local private college and living at home, he was also interested in moving out to have his own space. 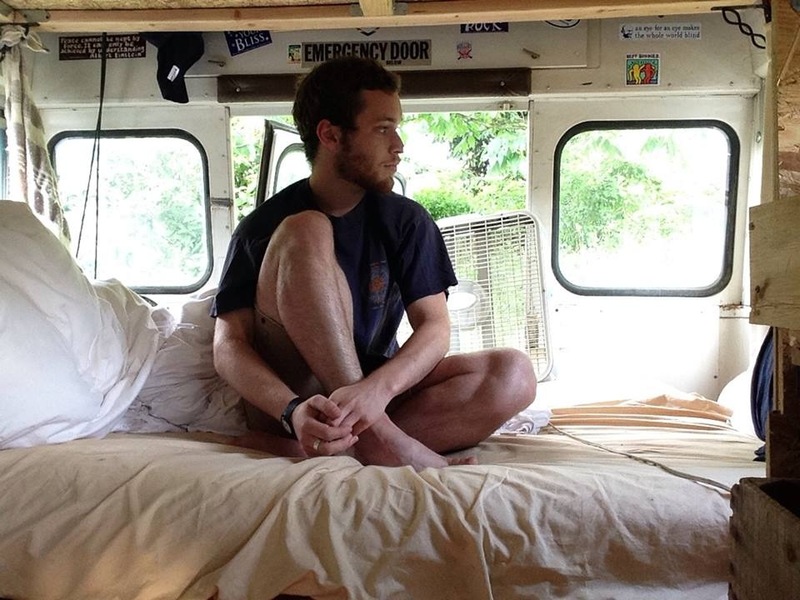 Needing the ability to get to and from classes while continuing his sustainably-centered upbringing, Jon took the logical route and turned to Craigslist. 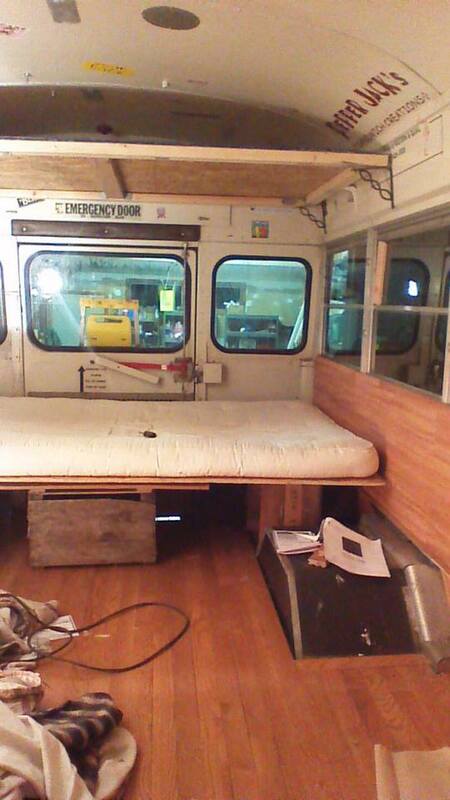 The result was a $2500 used bookstore on wheels. 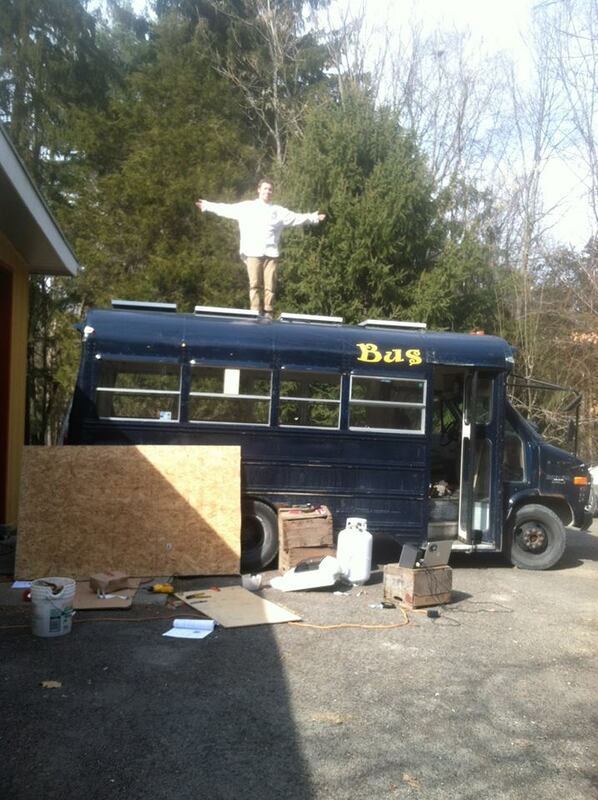 And what might one do with an old, secondhand bus, you might ask? Why, turn it into an apartment, of course! With no previous building experience, Jon spent the eight days of his spring break gutting and rebuilding his new space. 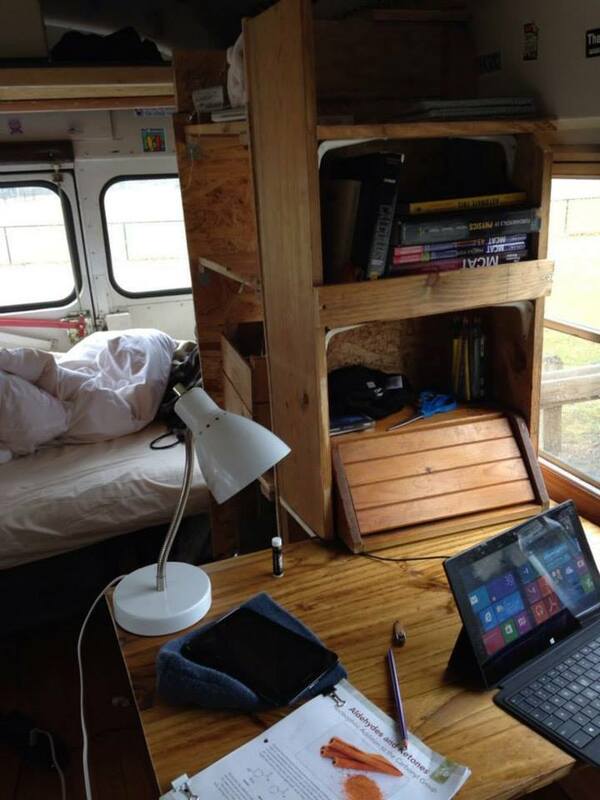 He installed new floors and did some woodworking to build shelving, a desk, and create storage compartments. To maximize the ability of the bus to be self-sustaining, he mounted four solar panels to the roof that can generate 400 Watts. For those cloudy days, Jon has two 125 Amp-hour batteries so that he won’t be completely off the grid. Jon also has a propane tank and 10,000 Btu heater for when the temperature drops. The results of this project have given Jon peace of mind; living at home in a spacious house that had a lot of “stuff,” he never felt like he had complete control over things. 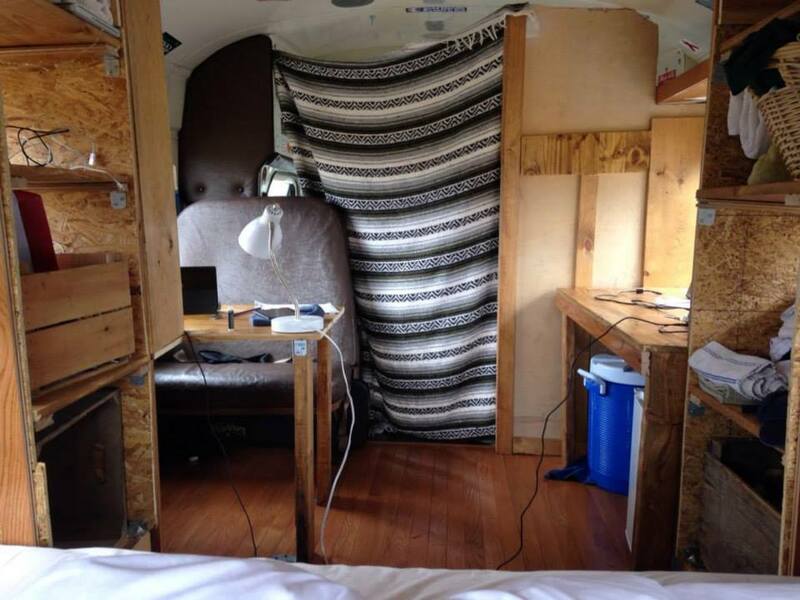 Now that he’s living in 90 square feet, he has had to pare down his belongings to the bare necessities which he says ironically makes him feel like there is more room to breathe. For more information about this project, you can watch a video put together by Elisa Caffrey and Kristen Dirksen here. This entry was posted in Green Current Events, GreenPARE, Projects related to Sustainable Design, Uncategorized and tagged Craigslist, Jon VonReusner, Solar panels, Sustainable home, Tiny homes, Tiny Trails on August 27, 2014 by Eric Robichaud.